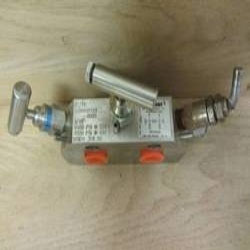 We are highly renowned manufacturer and supplier of a wide range of Three Way Manifolds. Throughout the process industries, Rosemount devices are specified more often than any other brand of process instrumentation. For years our technology has been used on board tankers and in overflow systems. Looking for Three Way Manifolds ?